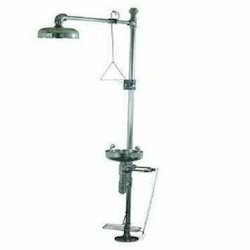 Offering you a complete choice of products which include mobile wheelchair, rechargeable battery operated wheelchair, electric mobile wheelchair, combination of eye wash and shower unit and eye and face wash unit. 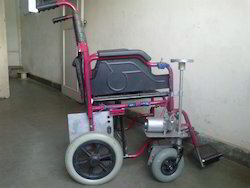 We are instrumental in catering to the diversified demands of the customers by putting forth an excellently designed array of Mobile Wheelchair. Specifically designed in strict conformation with the global quality standards, the offered range is widely used in hospitals and varied medical institutions. Offered in varied finishes and sizes. We manufacture multi-purpose rechargeable battery operated Motorized Wheelchair for senior citizens and disabled persons. Steering is by hand - either left or right hand. 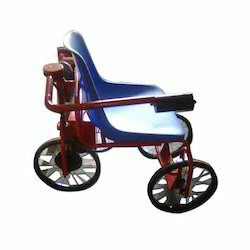 These Motorized Wheelchair are of the best quality and are low priced. This foldable motorized wheelchair is light in weight and easy to carry in a car. The chair requires very low maintenance and minor servicing problems can be handled by the users themselves. Battery drain is very low and recharge is required only after about 48 hours of regular use. Please see the Video on U tube under Motorized Wheelchair. 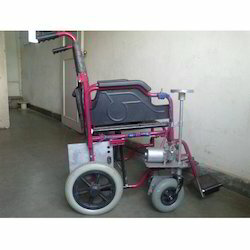 W are manufacturing special types of Electric Mobile Wheelchair in low price and high quality. This is recharged able battery operated and foldable. hand wheel left or right as per your requirement. Eye wash bowl has a circular spray ring for supplement face spray and spray head assembly has two super spray head , each with drain pipe . Stainless steel eyewash bowl cover keep heads and bowl covered with rust free of dirt , dust and contaminants, cover comes up automatically when flag handle down and close when handle returns. Include Integral flow control for safe , steady flow under varying water supply conditions. 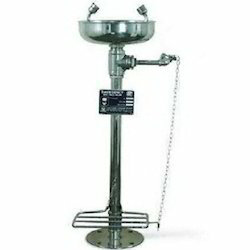 Made of Stainless steel,Eye wash can be operated by push plate and valve with foot pedal . Stainless steel bowl cover keep heads and bowl covered with rust free of dirt , dust and contaminants, cover comes up automatically when flag handle down and close when handle returns. Looking for Personal Protective Equipment ?